MainAll NewsInside IsraelFamily murderer connected to slain teen? Family murderer connected to slain teen? 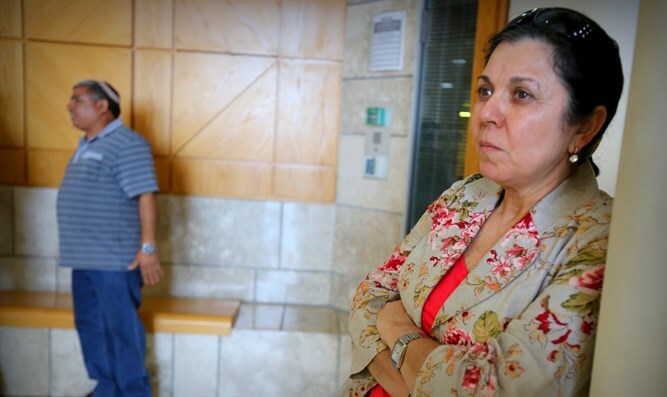 Rada family sources demand examining possible link between Tair's murder and Migdal murderer Nadav Sela. Ilana Rada refuses comment. Sources close to the Rada family have been demanding in recent days to examine a possible link between the 2006 murder of 13-year-old Tair Rada and Nadav Sela who murdered his wife, two children, and another child in the village Migdal last month, Maariv reported this morning. A gag order has been imposed on the investigation, making it impossible to detail rumors that have arisen in recent days on the Internet about a possible link between the two events. Ilana Rada, Tair's mother, made a condolence visit to the Karasenti family home, but did not want to comment on what she heard there. "I will not refer to everything that was said to me last week, and everything in Facebook. The whole issue of Tair's murder needs to be checked all the time. I hope for the victims' families that the police investigation in their case eases their minds; as hard as the truth is - it must be expressed," Rada said. "I do not want to delude myself about the relationship and rumors about Tair. I'm not building new theories. I'm waiting like everyone else until the gag order is removed, then we'll know what's happening, if anything is happening, and what's truth in all the rumors," she added. The eighth-grader Tair Rada's body was found in a bathroom stall in the Nofei Golan school in Katzrin in late 2006. Two suspects were arrested in the days after the murder and then released. Roman Zadorov, who worked in the school at the time, was arrested a week later, and after six days in interrogation admitted to the crime and reenacted it.